It just wasn’t their year. Oh, how they tried to repeat the performance which earned them the 2011 HonestReporting ‘Dishonest Reporting Award‘, but it simply wasn’t to be. 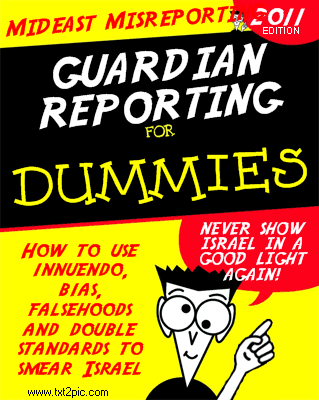 Though the Guardian failed to take home the top prize this year, they did receive less high-profile awards for their denial of reality itself (Biggest Train Wreck Over Principle: The Guardian, and UK Press Complaints Commission) by telling readers that Tel Aviv was Israel’s capital, as well one for most antisemitic cartoon (Most Anti-Semitic-Themed Cartoon: Steve Bell, The Guardian) for a depiction of feckless, slavish British leaders being controlled like a puppet by Israel’s Prime Minister. 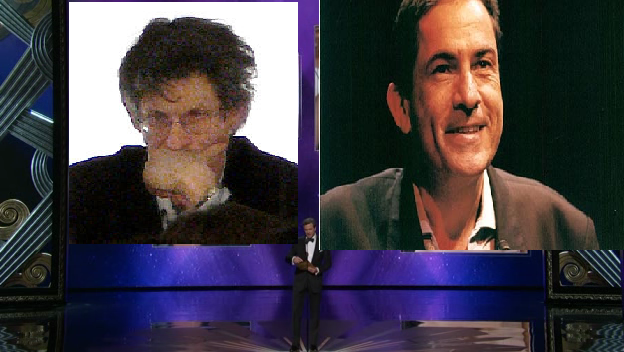 While this year’s winner, Haaretz’s Gideon Levy, indeed deserves credit for a very compelling polemical performance in attempting to convince readers that Israelis support apartheid, the Guardian’s body of deceit for the year was, at least in the eyes of this blogger, impressive nonetheless. “Though it’s rare for a media institution to take home two Dishonest Reporting prizes in a row, we really thought our overall anti-Israel bias was the most effective in a very crowded anti-Zionist field, and should have won. In addition to elevating Tel Aviv to the status of Israel’s capital, and publishing a cartoon indistinguishable from what’s found in the most Judeophobic Arab media, I’m also quite proud of the work done by Chris McGreal, whose characterization of the US relationship with Israel as ‘slave-like’ earned him a coveted spot in CST’s 2011 Report on Antisemitic Discourse. And, naturally, we thought that the buzz over Deborah Orr’s pejorative reference to Jews as ‘The Chosen People’ would also get the judges attention. Are you really saying that Rusbridger said what you have attributed to him or am I being naive? Realarmbach I wouldn’t make fun of the intellectual capabilities of other posters instead of you. As every reader can see from your posts you have the IQ and moral abilities of a mentally challenged amoeba – you should be more careful. How touching to see some retired people spend time. Well we can’t all look after senile people like your carer does. When you had your brain transplant, the brain rejected you. When the police wanted to do an identity parade when you were a suspect, it took them ages to get the cows to line up backwards. I can go on for longer if you want. That’s so funny Adam. Except of course the Guardian’s rabid anti-Zionism isn’t funny at all. The Oscars for best set design and adapted screenplay are way underrated IMO. You know this was verging on the witty. Well done. I will check on your progress again one year from now. And certainly more effective than your usual attempts to influence world events. He comes up with the usual fear of Anti-Semites, Jews influencing world events. The Guardian may not have won the prize BUT, its not from lack of trying. Heh. A friend just informed me that you had linked to my cartoon. I didn’t see the pingback on my blog. Thanks for the honour and the link. -:). Great post too. I love the fake interview with Rusbridger. It could almost be real. I didn’t know Gideon Levy could smile. Doctored photo?